Published on December 19, 2010 in Demonstration, Deportation, Detention, Evros, Featured, Photos and Videos. 9 Comments Tags: azadi, Detention, evros, mobilisation, Photos, video. from afghanistan 6 days here what the broblem? asks young Hamis Abdalah Ghasmi from Afghanistan on a piece of cardboard that was slipped to our delegation in Fylakio. And indeed, it is the question all migrants in detention in the Evros region have in mind: Why am I being kept here? Yesterday, i.e. Saturday, the 18th of December 2010, saw a mobilisation from the Greek antiracist movement to the Evros region, where most of the border crossings happened the last months and where many hundreds of migrants are being detained under comparably horrible circumstances as in the infamous prison of Pagani. 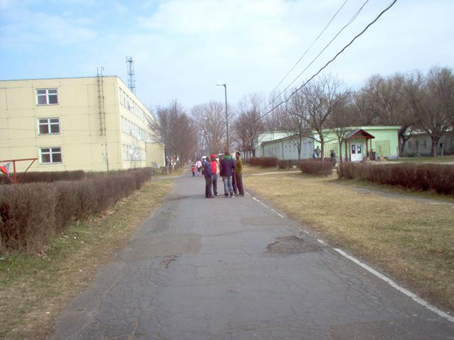 Published on October 26, 2010 in Detention, Dublin II, Featured, Hungary, Insight and Interview. 6 Comments Tags: Detention, interview. The following interview was taken under difficult circumstances, on the phone of the prison. We had never seen each other before – it was a friend of a friend who brought us in contact. F. was not in a good mood – but he said that he wants to give testimony what happens in Hungary to the deported. He hopes that maybe, if the authorities knew what happens, they might stop the Dublin-system. He says: For me it’s to late now, but maybe all the others, they should not experience the same! In Hungary the current policy is to detain refugees in general and for longer periods of time. Even if they apply for asylum they will be often detained until the first decision. And also all those, who get deported from other European countries, get imprisoned for often until the limit of six months. Hungary built 11 new detention facilities in the last months. 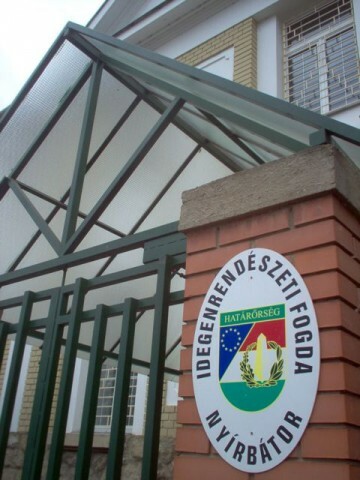 In Zalaergerszeg there are obviously at least three minors imprisoned for a longer time, who have been deported to Hungary according to DublinII. We fear that these are not single cases and that in the other detention facilities you might also find minors. Published on September 2, 2010 in Demonstration, Detention and Worldwide. Closed Tags: afghan, australia, azadi, break out, Detention. Yes, we have arrived on Lesvos island, and we are preparing out first reports, discussing our timetable and meeting with local activists. Expect updates soon. But right now, we would like to turn your attention to Australia, where more than 80 Afghan refugees whose asylum claim had been rejected and who were detained in a privately run detention centre in Darwin have broken free and staged a protest in order to halt their deportation. They have now been arrested and are being taken to another detention centre. Immigration Department spokesman Sandi Logan earlier said the men had broken through two electrified fences – an interior fence and a perimeter fence, both carrying 11,000 volts – at about 6.30 this morning. 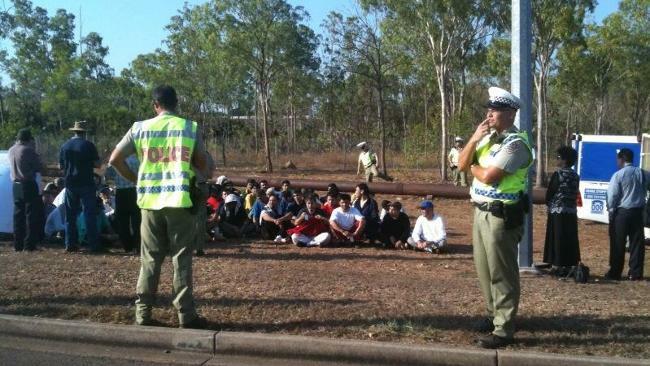 Followups: here, here and there generally seem to be tensions at Darwin detention centre: Indonesian fisherman who are charged with people smuggling and face a 20-year prison sentence have been rioting. We send our solidarity to all those imprisoned in Australian detention centre! Freedom! Azadi! Published on July 27, 2010 in Detention, Featured and Insight. 2 Comments Tags: Detention, Frontex, policy shift, screening centre. In October 2009, the Initial Reception Centre in Pagani on the island of Lesvos was officially closed, after a wave of revolts of the detained migrants and a worldwide scandalisation of the conditions inside the jail. Despite announcements of the government to build a new detention centre in Lesvos, Pagani is still the only detention infrastructure on the island. The former goods warehouse is used for the interim detention of newly arrived refugees and migrants. Unlike before, when hundreds of migrants where kept for months in closed cells, fewer people stay there for some days only until they are transferred to the reception centre on the closely located island Chios. However, since the closure of Pagani it has become clear that the old system of detention under horrible conditions cannot be continued and will be replaced by a more human rights compatible system of detention in line with the existing models in the European detention landscape. Indicative of this change in policy, which also stems from the change of the Greek government in October 2009, is the statement of the then newly instated Deputy Citizens’ Protection Minister Spyros Vougias during his visit of Pagani in October 2009, shortly before the actual closing of the detention centre by his ministery. He promised “to upgrade infrastructure and curb bureaucracy so that the migrants are detained for shorter periods of time and with more dignity”. Published on November 13, 2009 in Detention. 1 Comment Tags: Detention. Our faithfull source in Greece just told us a story about going with the ferry trip from Mytilini ( over Xios ) to Athens. Last night I travelled by ship from Mytilene to Athens. That gave me the opportunity to observe a transfer from Pagani to Xios. On board there were around 50 people that the police was bringing from Pagani to the prison in Xios. The police gathered them outside on deck, guarded by about four or five police men. As I tried to approach them the police told me that I am not allowed to do so. After a short discussion I could at least talk to one man from Somalia. He told me that the police didn´t take their fingerprints until now and that he doesn´t know where the police will bring them. I told them that I think that they will bring them to the prison in Xios. When we arrived in Xios the police brought the people down to the exit. They tried to hold them all together but they were not separated from the other people. One police man was quite nervous as if he was fearing something would happen. Next to the ship there was a turistic bus waiting for the people. When I returned inside the ship in order to go to Athens, I met a group of people that I already met in Pagani. Most of them were Afghan families with little children. Two of them told me that the police wrote a higher age on their paper than they are , if they are obviously under-age. Like that, they lost the special protection their are supposed to retrieve as under-age refuges. Pagani to be converted to a open centre? Published on November 3, 2009 in Detention. 1 Comment Tags: Detention, pagani. Yesterday a delegation went to pagani to estimate the demages in the prison complex. it says they will open Pagani again in two month. The question is if it will be a detention or a open centre. Pagani has to stay closed, no more centre in Pagani! !